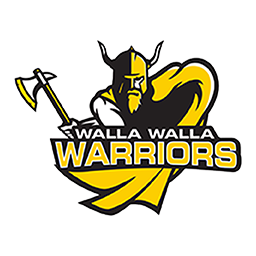 HAYDEN, Idaho — Walla Walla’s Brooke Cramer shot 87 here Sunday at the stormy Avondale Golf Course and found herself in a six-way tie for 10th place in a Northwest Athletic Conference girls golf tournament hosted by North Idaho College. Cramer’s round enabled the WWCC women’s team to finish seventh in a field of nine schools halfway through the 36-hole tourney that was scheduled to conclude here today. The WWCC women’s team posted a 276 score for its top three players, which was 31 strokes off the pace set by Columbia Basin College. The Hawks, led by Brianna Esvelt and Breanna Watts, turned in a 245 tally for their top three players. Esvelt led the field of 47 with a first-round 79 on the par-72 layout and Watts was right behind her with an 80. Skagit Valley’s Emma Raymond was in third place and just two strokes back after posting a first-round 80, and Mikal Jerman of the host Cardinals shot 82 and was alone in fourth place. 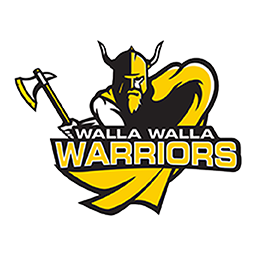 Brooke Orr shot 89 for Walla Walla and was alone in 20th place and Camryn Cox scored 100 and was WWCC’s third counting score, tied for 38th. Ally Chapman scored a non-counting 114th for the Warriors and was in a tie for 44th place. The WWCC men’s team found itself in dead-last place in a field of 10 teams heading into today’s 10 a.m. shotgun start. The Warriors’ 345 total for their top four players and was 51 shots in back of first-place North Idaho and 11 behind ninth-place Grays Harbor and Olympic. The Cardinals finished the day at 294, six shots over par as a team. Spokane, bolstered by Jake Larson and Chase Mitchell, was in second place at 299, followed by Bellevue 305, Skagit Valley 313, Southwest Oregon 315, Green River and Columbia Basin tied at 321, and Olympic and Grays Harbor knotted at 334. Larson led the field of 51 men with a 2-under-par 70 and Mitchell was just a stroke back at 1-under 71 as the Sasquatch recorded the only two sub-par rounds of the day. Kobie Lockwood of Southwest Oregon and Jacob Ellison of Green River matched par-72 and were tied for third place while Jacob Ellison of Green River and Sean Langham of the host Cardinals turned in identical 73s and began today’s second round just three shots off the pace. The Warriors were led by Conor Lees’ 79 which was good for a seven-way share of 18th place. Austin Khile turned in an 82 and was in a four-way tie for 31st, Marcus Equsquiza was another stroke back at 83 and in a five-way logjam for 35th, and Wyatt Utt turned in WWCC’s fourth counting score with a 101 that left him in 51st place.